If you know your flowers and plants, you may notice that the painted blossoms on this design are slightly orange - yet chive blossoms are typically purple. This is true, except for at the very end of the plant's growing cycle. That's when the leaves turn a shade of yellow and are ready to be picked. Chives are a hardy perrenial herb that have an unforgetablle aroma and fantastic flavor. 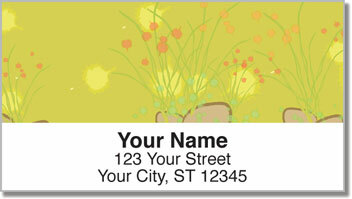 Now you can even use the illustrations of chives featured on this return address label design to freshen up your outgoing mail. 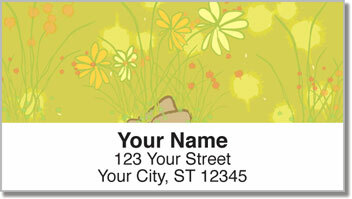 Just peel and place them on every envelope thanks to a helpful, self-adhesive backing. 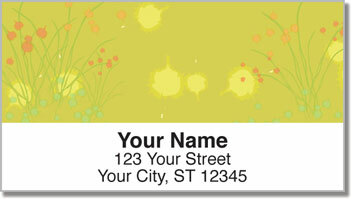 Get your very own Chive Flower Address Labels right now! 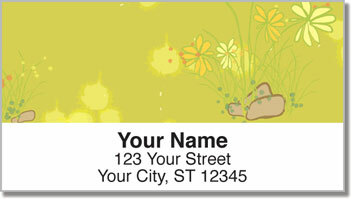 Don't forget, you can also order matching checks.